Skating 101 | The Party Planner | Kids VT - small people, big ideas! My two oldest daughters, Lily and Nola, were recently invited to an ice-skating party. This prompted some family discussion, because we are skiers, not skaters. In fact, none of us had ever donned skates before this invitation. Both girls attended the party and, despite a few bruises, had a wonderful experience, all captured on video. They skated to their hearts' content — alongside my teetering, Vermont-born husband — and enjoyed cake and presents at the rink. In fact, Nola has asked repeatedly to go skating again. Cairns offers year-round skating with two rinks, a locker-room space and no limits on party size. Private parties can be combined with public skating. Private rate: $180 per hour. 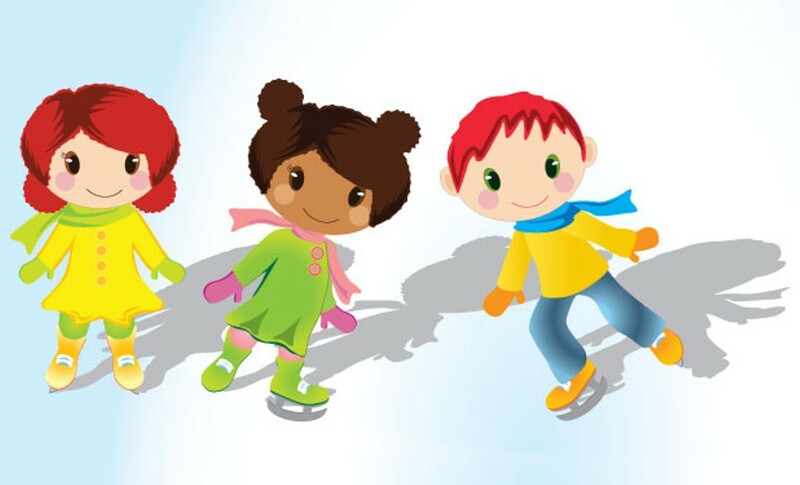 Public skating: $5 per adult, $3 per child ages 6-17, and $1 for seniors and children 5 and under. Skate rentals $2 during private parties, $3 during public skating. Leddy's Olympic-size rink is open year-round, while the studio rink offers up its ice from September to March. Leddy has a private lounge as well as an outdoor barbecue space for summer use. Studio rink: $115 per hour. Olympic rink: $200 per hour including lounge. For an additional fee, Leddy can also arrange for a junior instructor to guide attendees.KTips: Even though you'll be indoors, dress warmly and don't forget your helmet.